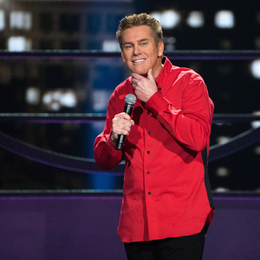 Brian Regan is having “a moment.” He has his own Netflix series, Stand Up and Away! with Brian Regan, which is co-executive produced by none other than Jerry Seinfeld. In addition to the Netflix series, Regan has earned accolades for his role as Mugsy, a recovering addict who struggles to reconnect with his estranged family, on a show called Loudermilk. The series is directed by recent Oscar winner (and Phoenixville native) Peter Farrelly, the creative force behind the 2018 Academy Award for Best Picture, Green Book. Newfound exposure aside, Regan hardly fits the definition of the term overnight success. In fact, he’s spent the last 40 years in show business, perfecting his craft as a standup comedian. He’s excited to be returning to the area on April 27 for a show at the Met Philadelphia. Congratulations on Stand Up and Away! Has your life changed as a result of having your own Netflix series? Not really. I think if you were to do a nationwide poll, 98 percent of people would not know who I am. Every once in a while I get recognized, but overall there hasn’t been a major shift. … If I look at this level of success, it’s sort of perfect. I have friends who have gotten on sitcoms, who are stars, and I see what they have to deal with. It’s hard for them to be out in public, and it’s hard for them to have quiet time. I have the best of both worlds, where I have enough of a following that I can play in theaters, but when a show’s over I can go a half-mile down the road and eat at a fast-food joint and no one will know who I am. You’ve been doing this for a long time, but Loudermilk and Stand Up and Away! have come just recently. Were these opportunities something you sought after, or did they just kind of find you? Years ago, I wanted a sitcom because I thought it represented a Super Bowl trophy of sorts. l thought that, if you were good enough in your standup, you’d be awarded with a sitcom. … Later on I wanted a sitcom because I thought it would give me more fans for my standup. But I was playing in theaters without a sitcom, and I thought: I need a sitcom like I need a hole in the head. On the way, Loudermilk fell in my lap. … One of the first scenes I had to do [for Loudermilk] was one of the heaviest scenes, where I reconnect with my [character’s] 18-year-old daughter, who works in a homeless shelter. There were some funny things about it, but it was a real McCoy scene, and I had no idea if I could act. I muscled my way through it, and little by little I got more comfortable. Some performers say what they do is like wearing a mask, becoming someone else. Do you feel that way? My goal is not to put on a face but to make it look real. When I am on stage, I try to be me. I may go off on goofy tangents, but even when I’m playing Mugsy on Loudermilk I try to make it as real as possible even though it has nothing to do with my own life. When did you realize you had a knack for making people laugh? When you first started doing standup, what about the experience suggested, “This is what I’m meant to do”? It goes back to me with the tape recorder. I just love the connection of making people laugh. A human brain can think of something twisty and pick the right words to share it. Sometimes they don’t work. If it worked all of the time, then it wouldn’t be fascinating. You can spend years trying to figure out the formula to what makes this work. It’s a lifelong quest.